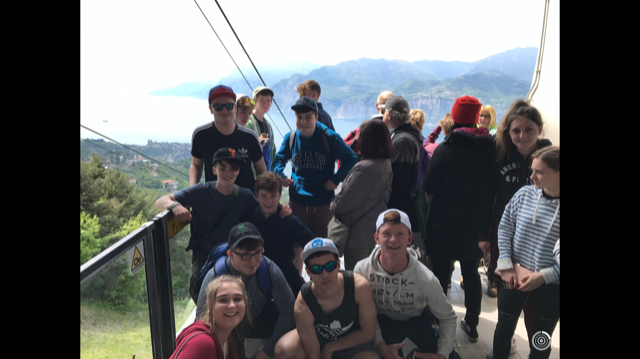 2017 saw the tour visit the fabulous destination of Lake Garda in Italy. 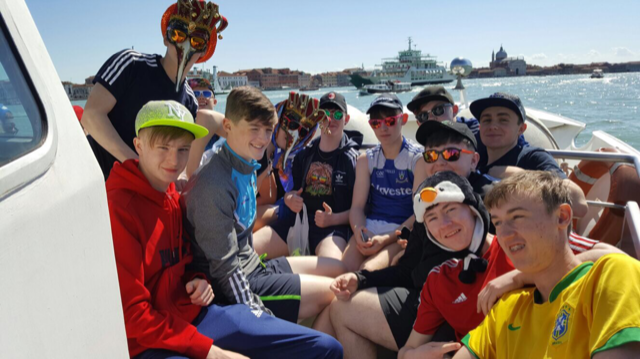 The students got to experience ‘la dolce vita’ first hand visiting Milan and Venice. The San Siro stadium, the home of both Inter and AC Milan was a fantastic experience. A day spent in the Gardaland theme park got the pulses racing which was calmed by an afternoon spent soaking in the natural thermal spring pools in the locality…..bliss! The cable car up the Dolomite Mountains was spectacular. 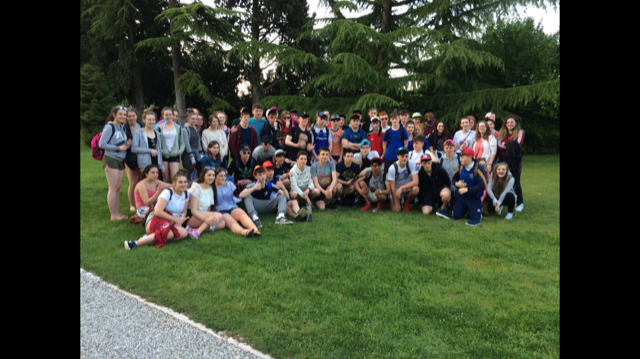 A fabulous trip was had by all. 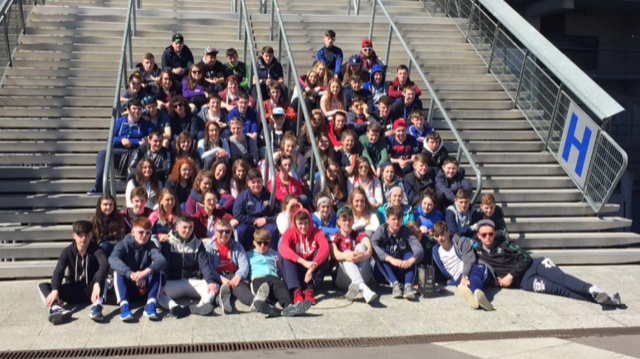 In both 2013 and 2016 the TY Tour travelled to the the iconic city of Paris. 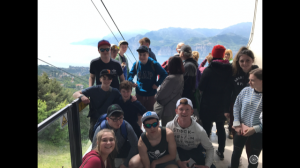 They experienced a wealth of culture, art, sport and adrenaline here! 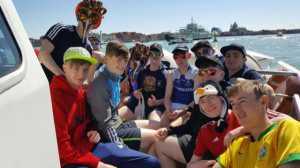 Some of their visits included a full day at Disneyland Paris where both the students and staff embraced their inner child on the rollercoasters and meeting all the Disney characters. The Eiffel Tower was a highlight for the students, especially the glass floor! The Palace of Versailles was another wonderful cultural experience. The students got to see famous works of art like Da Vinci’s Mona Lisa in the Louvre and walk the beautiful Champs Elysees. 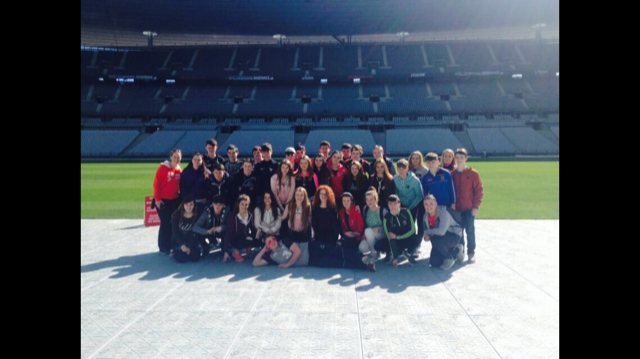 Sports fans were delighted to experience the incredible Stade de France, even getting to run out the tunnel. Aqua Boulevard, an indoor water park was a big hit also. 2014 saw the TY Tour visit London. The students experienced the bustling city life first hand by travelling on the underground to all their excursions. 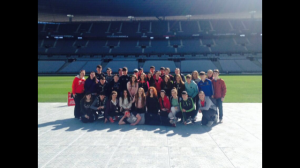 A visit to Wembley Stadium was a fantastic experience for the sports fans on the tour. The musical Billy Elliot on the West End was a fantastic production that the students thoroughly enjoyed. The students got to get their photo taken with all the waxworks of their idols at the iconic Madame Tussauds and enjoyed shopping in Westfield. Shakespeare’s Globe was another fantastic tour and really brought Shakespeare to life for the students. 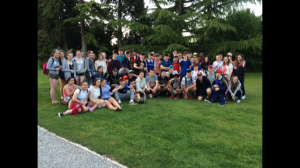 A walk along the bank of the River Thames, experiencing the street theatre in the sunshine was wonderful, with some of our own students even joining in the busking and singing with the artists. Many students in CCS, both boys and girls, whether Manchester United fans or not, have enjoyed the trips to Old Trafford over the last few years. “The Theatre of Dreams” does not fail to impress all those who travel to the games and is why the school has returned there on numerous occasions. We have been lucky enough to meet many players as they leave the stadium after the games and many students boast autographs from some of the world’s finest soccer players. The trip to The Trafford Centre is also a highlight of these tours with an array of shops, restaurants and entertainment there not to be missed. April 2007 saw many lucky students from CCS embark on a trans-atlantic tour to the Big Apple. 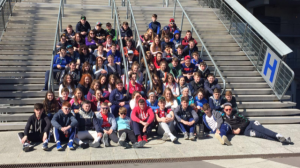 This whistle-stop tour gave students a fantastic opportunity to experience everything New York has to offer in the company of their friends and teachers. This tour had everything, educational trips to Ellis Island, Natural History Museum and the Sony Centre; sight-seeing tours to Times Square, Ground Zero and the New York bus tour and of course recreational trips to see Broadway shows and a basketball match in the world famous Madison Square Garden. No trip to New York would be complete without a spot of shopping and our students made the most of their dollars in Macy’s and Jersey Gardens. This school tour was certainly one to remember. The 2018 TY Tour will travel to Madrid from the 3rd to 6th May.